I'm very grateful to all my loopers friends that made me possible to put together these tunes. You are a fantastics musicians. Big hug to each you. Great honnor for me to see me here Joao possesses a unique sensibility and one without the phrasing of a big sweetness and a heat. It is always a pleasure ! Thank you João for allowing me to be on this album. 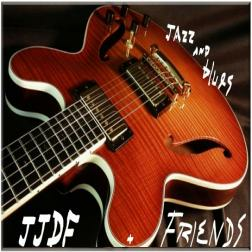 Your style of play is clean and crisp with that wonderful Jazz feel and touch you have. Great album. It is a great pleasure for me to be part of this album! João, I look forward every time something new appears of you in Wikiland. Thank you!